Starch is a polymer of glucose found in most plants. Starch is organised in 1-140 µm granules in plants. Starch is produced from various raw materials like maize, cassava/tapioca roots, potatoes, wheat, rice etc. The technology or the manufacturing process of starch differs according to the raw material used. 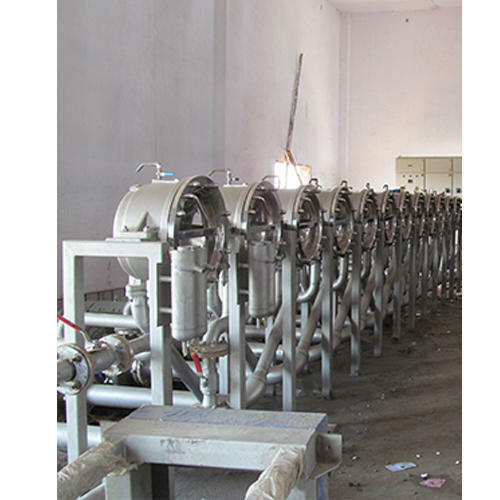 One of the highlighted aspect of starch processing / extraction is that starch is produced according to the requirement of the end users depending upon changing reaction condition (Temp, pH2 additives) and strict process control methods. Customized or specially developed starch is popularly known as Modified starch. This is superior quality starch applicable for varied industrial usages. To facilitate these aspects of starch extraction or processing, we design & develop starch plants and starch processing equipment & starch processing plants that meet varied requirements in starch & it's derivative manufacturing units. Our advance fabrication facilities, team of industry professionals & technical know how enable us to meet client's specific requirement by developing custom design machinery. we also excel in establishing of complete plants for starch extraction & execute turnkey projects. As a pure & renewable natural polymer starch caters to multiple usage. Its significance as a polysacloride (being able to breakdown into their monomeric and or oligomeric components) leads to production of Dextrose, glucose, fructose, maltose & sorbitol. Furthermore, starch is also an important ingredient for the sugar industry, which was otherwise relying upon sugar cane and beet sugar. To reduce breaking of yarns during weaving, the warp yarns are sized. Starch is one of the main agents used for cotton sizing. Starch is also used as printing thickener. in the printing industry food grade starch is used in the manufacture of anti-set-off spray powder used to separate printed sheets of paper to avoid wet ink being set off. starch is used to produce various bioplastics, synthetic polymers that are biodegradable. An example is polylactic acid. Powdered corn starch is used as a substitute for talcum powder in many health and beauty products. starch is used to adjust the viscosity of drilling fluid which is used to lubricate the drill head in (mineral) oil extraction. Glucose from starch can be further fermented to ethanol. Hydrogen production - Starch can be used to produce hydrogen, using enzymes.